On September 2nd, 1969 Cedric “K-Ci” Hailey (Cuba Gooding Jr.) was born in Monroe, North Carolina. On June 10th, 1971 his brother Joel “JoJo” Hailey (Anthony Mackie) joined him. Over the next 30 years, the two brothers would form the R&B Group K-C & JoJo and redefine the popular music landscape in America while setting the course for everyone who came after them. But the dizzying fame and success, a natural off-shoot of the genius that seemed to emanate from the brothers’ every pore, ultimately took its toll on the two men in ways they could never have predicted. 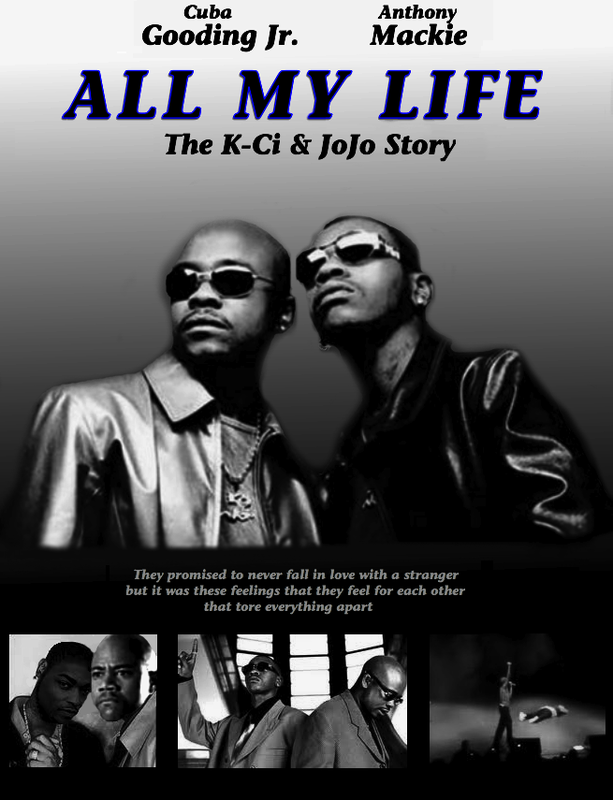 “All My Life” is the true story of the fame, the fights, the highs, the lows, the accolades, the shame, and most importantly, the music, of K-Ci & JoJo. – We observe the magic when JoJo first attempts to harmonize with his brother (on a Motown song To Be Determined) while they clean dishes at the dive bar that pays them $3 an hour. – As the two brothers work their way through a series of low-rent gigs at dangerous clubs (first full-song performance seen during a montage of gigs), we see the bond between them grow stronger. – The group’s genre-shattering songwriting begins to take shape when we witness K-Ci sit at the piano for the first time to play his brother a new song he’s been working on (which turns out to be the eventual hit single “Crazy”). But even in these early scenes, we notice a darkness underneath: The way JoJo insists on getting credit for his contributions to K-Ci’s earliest songs; K-Ci pounding shot after shot of Hennessey right before a show; The competitiveness between the two brothers when a pretty girl walks in the bar…And more. As K-Ci watches his daughter sleep one night, he begins composing the song that becomes “All My Life”. The next morning JoJo comes over and in the second full performance of the movie, we watch gloriously as the two men sing the completed ballad together and finally truly become K-Ci & JoJo. What follows is a montage of the boys’ rise to the top. We see them play increasingly larger shows and watch (in an animated sequence that sees “All My Life” going from 100 to 73 to 30 to 7 to Number 1 on the Billboard Charts) each new song they release dominate popular music and the mood of the entire country. JoJo becomes increasingly resentful of the perception of K-Ci as “genius” and “leader” of the group, while K-Ci seems to only be interested in whatever questions are answered at the bottom of a bottle. Soon, both men have moved from drinking and jealousy to hard drugs. Like cocaine. The fights between them are more intense and emotionally brutal than ever. The low point in the career of K-Ci and JoJo comes in 2009 when JoJo passes out onstage mid-song during the group’s reunion tour and K-Ci continues on finishing the song. From that moment, the story of K-Ci and JoJo becomes one of redemption, family, life, passion and the universal things we to do pick ourselves up when we’re down. Iould love to s would definitely love to see this movie, but Anthony Mackie should be K-ci Cuba Gooding Jr. should be Jojo Terrence Howard should be DeVante Swing Taye Diggs as Mr. Dalvin. I think it’s a good idea and many fans such as myself would love to see it. It’s me again. I think if it is unable to play herself, maybe Taral Hicks should play Mary J. Blige. So is this something that can be done? We are going to have to take this one to investors Erica and see what they think. I appreciate your passion for this project. A few more like you and All My Life could be ready for a christmas 13 release! Hey.. id like to make this movie.. I have the money and studio to do it in.. r u intetested? I am very interested, BJ. Please send over the paperwork and a check for the estimated budget and we can started. 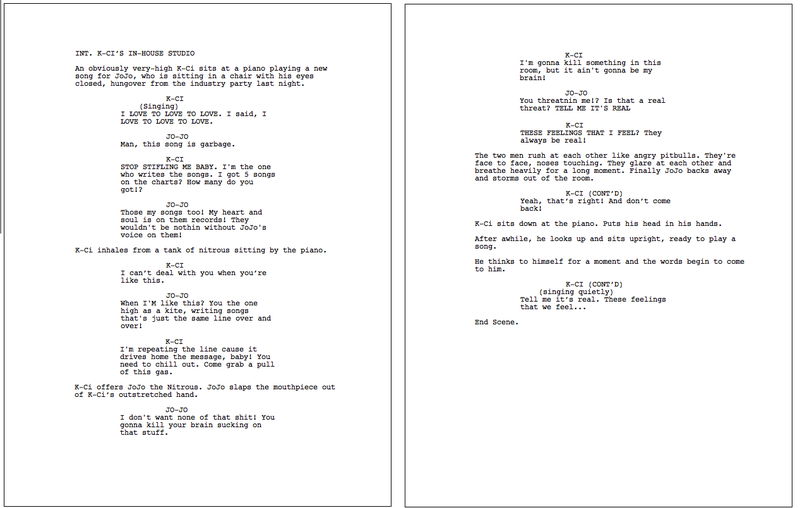 I’d like to reach out to some A-list directors ASAP. I think we can come up with an organic way to add Bugs Bunny to the story of K-Ci and JoJo, sure. I WOULD LIKE TO SEE THIS MOVIE., BUT I THINK THAT IT TAKES SOMEONE WITH GOOD ACTING SKILLS TO PLAY THE PART SUCH AS: OMAR EPPS AS JOJO, AND ANTHONY MACKIE AS K-CI. AFTER ALL, THESE MEN ARE ICONS AND IF ANYBODY IS GOING TO PLAY THEM IN A MOVIE THEY NEED TO LOOK THE PART AND KNOW HOW TO ACT SO THAT K-CI AND JOJO WILL BE PROUD AND NOT EMBARRASSED. and other person will als do similar for you. or cure the autistic people in more ways than one. It has the highest ROI (Return of Invesment) in all advertisement channels.